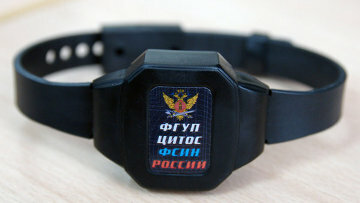 No probe into penitentiary service officials over dud electronic bracelets | Russian Legal Information Agency (RAPSI). MOSCOW, April 18 (RAPSI) - No investigative action has yet been taken against high-ranking officials of the federal Penitentiary Service whom the media alleged were suspected of involvement in the electronic bracelets fraud case, the service spokesperson Kristina Belousova told RIA Novosti. An investigation is underway in connection with the improper spending of over 1 billion rubles ($31.4 million) to purchase electronic bracelets - devices which monitor individuals under house arrest or other forms of restraint. It was revealed that the batch of bracelets bought was missing GLONASS positioning components. According to the Investigative Committee, the scheme was implemented by penitentiary service officials and executives of the TSITOS state company which supplied the non-operational bracelets. The investigators have not named any suspects at this stage. However, the media reported on Thursday that several high-ranking penitentiary service officials have come to the attention of the investigators, including the service's deputy director, Lt.-Gen. Vladislav Tsaturov and Maj.-Gen. Yelena Zarembinskaya who heads the department for non-carceral punishment. A number of other senior officers from security departments have been mentioned in the reports. "No investigative action has been taken against the officers named," Belousova said, commenting on the reports. "There is no reason to discuss their involvement in the case." RIA Novosti has so far been unable to obtain any comments from the investigators. 12:37 18/04/2013 No investigative action has yet been taken against high-ranking officials of the federal Penitentiary Service whom the media alleged were suspected of involvement in the electronic bracelets fraud case.